Little Miss Elaine Clements, daughter of Mr. and Mrs. Hugh Clements of Ray City, was the winner of a baby contest held Wednesday evening of last week at the Ray City Theatre. The event was sponsored by the Texas Goodman Girl’s Auxiliary of Ray City. Votes sold at one cent each and proceeds from the contest will be used to defray camp expenses for G.A.’s. Jimmy Paulk won second place in the contest; Patricia Sirmans, third; Billy Barnwell, fourth; and Laura Gale Carter, fifth. Other contestants were: Sandy Johnson, Gary Zeigler, Mary Fay and Martha Kay Smith, Pete Luke, Paula Ann Zeigler, Steve Grissett, and Garth Webb Jr. In the days when pioneers of Ray City, Georgia fought with Indians, panthers and wolves they also fought with fever. Whether it was malaria, typhoid fever, or “intermittent” fever, the real causes were little known and the effective treatments were few. 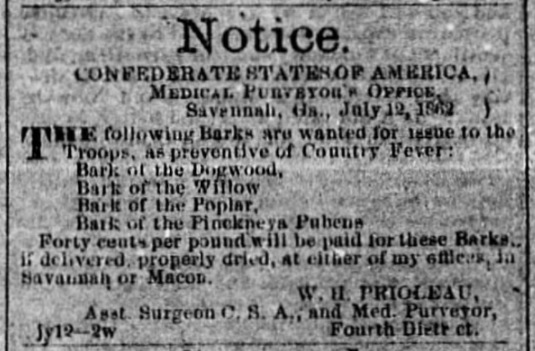 One pioneer fever remedy was Georgia Fever Bark. “In bottom lands the soil is richer and colored almost black by decayed leaves and other vegetation, and the growth is poplar, cypress, and titi, with some pine and “fever tree” or “Georgia fever bark.” It was valued in the South throughout the Civil War. Forty cents per pound will be paid for these Barks if delivered, properly dried, at either of my officers in Savannah or Macon. After the war fever bark remained in the pharmacopoeia of local doctors. Later, in the Spanish-American War, Georgia men were recruited into special units, called the Immunes, to fight in Cuba because they were thought to be immune to malaria. In 1833 in The dispensatory of the United States of America , Dr. George B. Wood and Dr. Franklin Bache of Philadelphia wrote about the use of the Georgia Fever Bark, Pinckneya Pubens, to treat intermittent fever. PINCKNEYA PUBENS. Michaux. A large shrub or small tree, growing in South Carolina, Georgia, and Florida, in low and moist places along the sea coast. It is closely allied, in botanical characters, to the Cinchone, with which it was formerly ranked by some botanists. The bark is bitter, and has been used with advantage in intermittent fever. Dr. Law, of Georgia, cured six out of seven cases in which he administered it. The dose and mode of preparation are the same with those of cinchona. The chemical composition and medical properties of this bark deserve a fuller investigation than they have yet received. John C. Gifford related a story on the use of Georgia Bark, also known as Florida Quinine, during the Civil War. 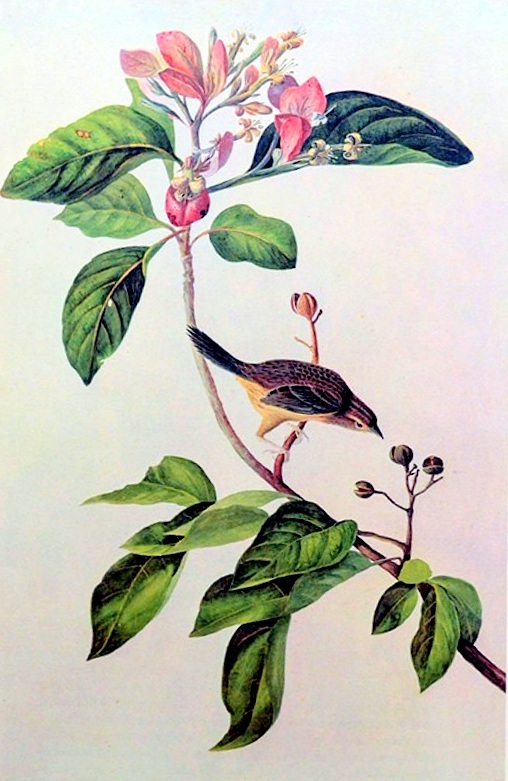 “Intermittent fevers were common throughout the South, and among many bitter barks the Florida-quinine, or Georgia-fever-bark, was a common household remedy. The bark was soaked in rum, and at regular intervals the family and slaves lined up for their proper doses. Down on the Keys prince-wood bark was used. Both belong to the quinine family and have been almost exhausted. Dr. Perrine introduced the first powdered quinine into this country from France. Without this quinine exploration of the tropics would have been much delayed. It is still necessary in many places. During the Civil War the supply of quinine and other drugs was short in the South, and my friend, Dr. Charles Mohr of Mobile, now dead, was delegated to find substitutes in our own fields and woods. In this line he was very successful, and we have many things now not used, quite as good as articles imported from foreign parts. We need to study what the Indians and early settlers knew before it is too late. Years ago at regular intervals the slaves on the plantation were lined up and required to take their dose of fever-bark soaked in rum. The writer is certain from experience that not only quinine but several other bitter barks are excellent preventatives of malarias of various kinds. The amoebae that cause them do not flourish in the body of a person saturated with these bitter drugs. 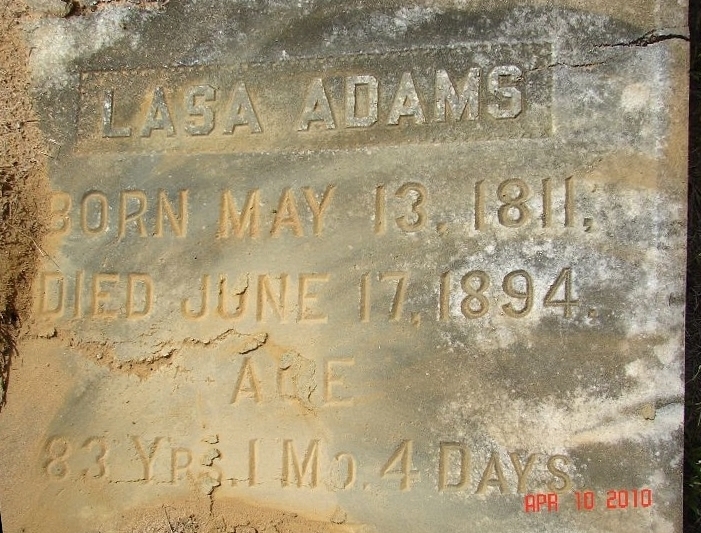 The June 12, 1897 Thomasville Times – Enterprise noted that William D. Sloan was enrolled at Stanley’s Business College. 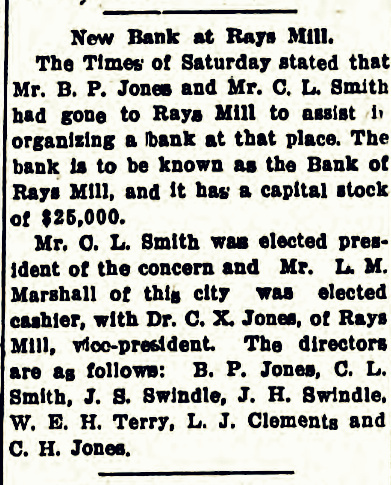 Thomasville Times-Enterprise June 12, 1897 Messrs. Lane Young and W. D. Sloan, of Ray’s Mill, Ga., Mr. George Bergman, of Micanopy, Fla., and Mr. H. V. Simmons, of Quitman, have lately entered Stanley’s Business College for a full business course. 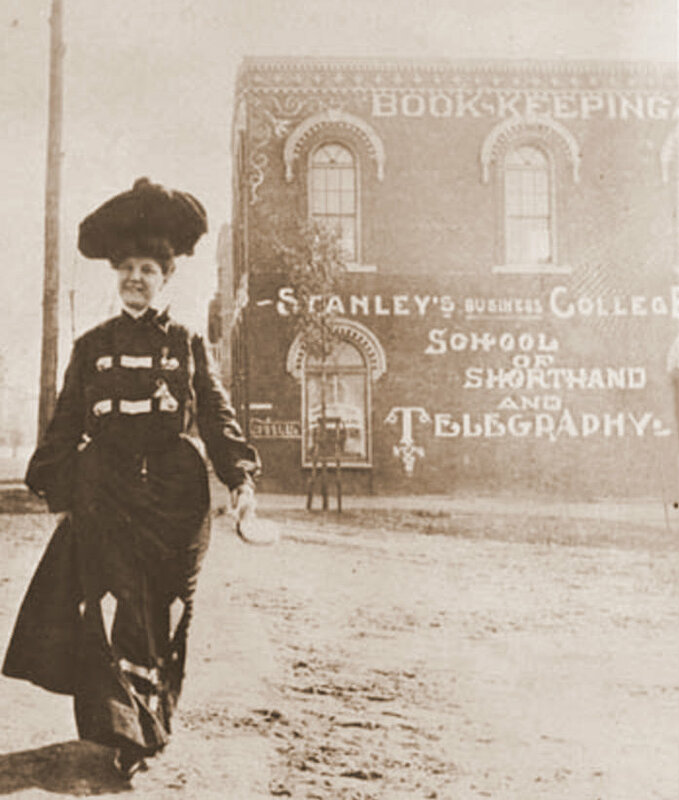 Stanley’s Business College, Thomasville, GA, Book-keeping, School of Shorthand and Telegraphy. 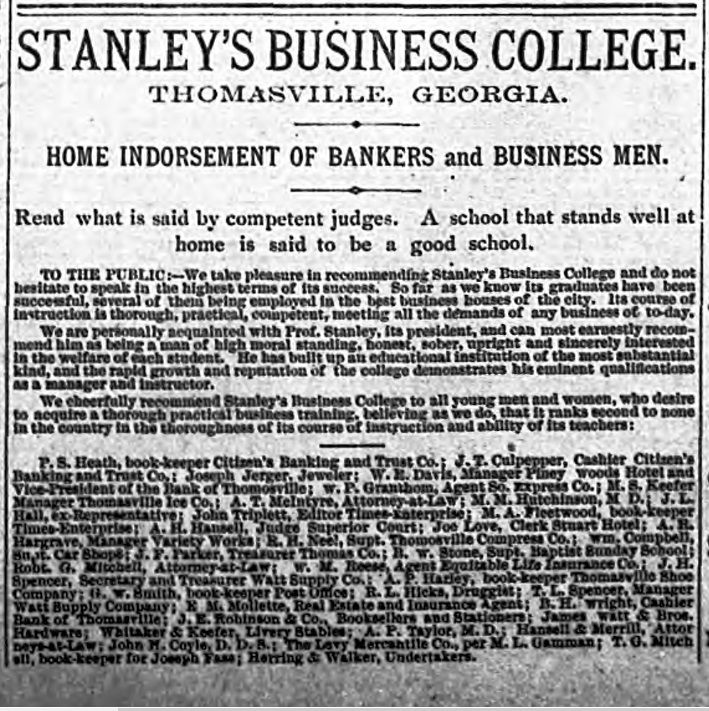 Stanley’s Business College was operated by Professor G. W. H. Stanley at Thomasville, GA from about 1891 to 1904, when he relocated the school to Macon, GA. The school had the endorsement of a number of prominent businessmen of Thomas County, including Judge A. H. Hansell, who served 50 years on the bench in the Southern Circuit. 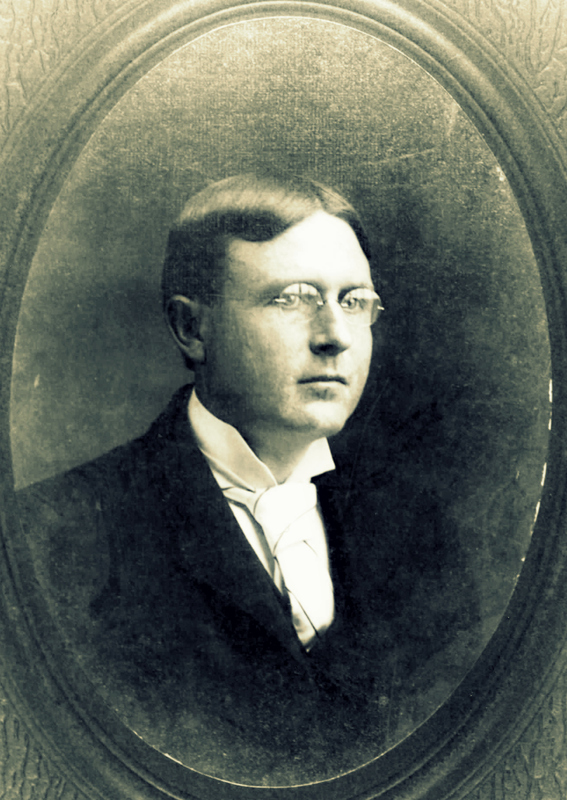 Judge Hansell was known to everyone in Wiregrass Georgia and had tried or presided over the most prominent cases of Rays Mill, Troupville, Nashville, and other south Georgia towns. 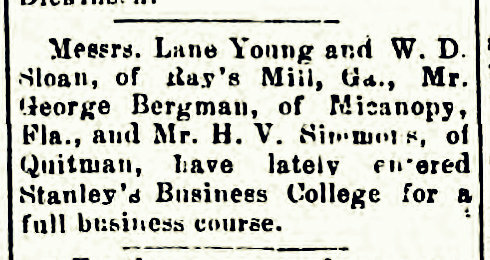 Advertisement for Stanley’s Business College, Thomasville, GA. Tifton Gazette, Jun. 11, 1897. The ad included an endorsement by Judge Augustin H. Hansell and other Thomasville men of note. In a column titled “Lois Notes” the Tifton Gazette reported William D. Sloan graduated and returned to the community of Lois, GA just west of Rays Mill (now known as Ray City, GA). 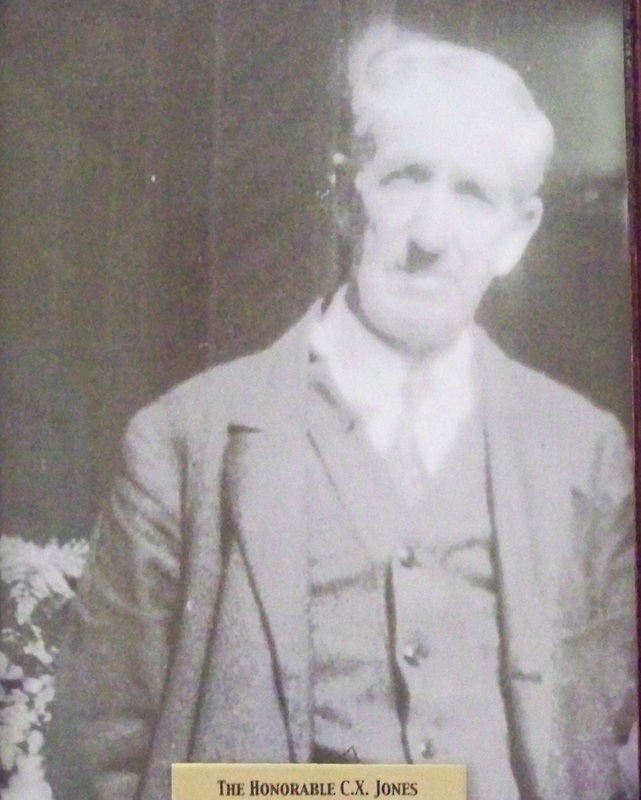 William D. Sloan graduated from Stanley Business College in 1898. Tifton Gazette January 21, 1898 Mr. W. D. Sloan has just returned [to Lois, GA] from Stanley Business College, at Thomasville, with his diploma.